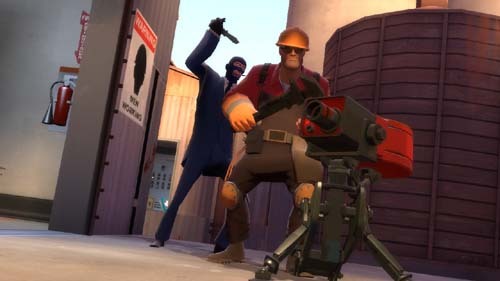 It is time for some 2fort. Premise is simple. Capture the flag, and bring it back to base. The flag is located in the basement of the enemy installation (a mirror image of your own). You can get there via the front entrance, then up the stairs and to one of two stairways down, or via the sewer entrance (which leads to the up stairs room). If we can get 8 of us, we can get that elusive achievement. awesome. i’ve been neglecting this part of the orange box for a while now just becuase TF2 seems so out of control without a party of people you know. also, you had me at ‘elusive achievement’.